After 10 years, WBO Community is big and continue growing. In Processed Event Archive, is 74 000+ posts. And tournaments is hosted different countries. Now, I think, is time to start translating WBO Rulebooks. Help to to translate Rulebooks to use them in WBO Organized Play events. Post here with link to Google Drive folder, where is Rulebooks. You need started at least one Rulebook, where translating is done or in progress. If you posted here WBO Organizers need to review this. After at least 4 accept from Organizers, I add your translation to list. Status show, if translation is completed or in development. Active show, if updates added to Rulebooks. This is a great idea! At the very least I bet we could get translations in French, Italian, German, and Hindi based off of the active users we have here on the WBO. (Feb. 02, 2019 7:46 PM)The Supreme One Wrote: This is a great idea! At the very least I bet we could get translations in French, Italian, German, and Hindi based off of the active users we have here on the WBO. Estonia Folder link is now added. You can search team, who develop translations. umm, 8 pages done, 8 remaining. You find them in Navigation Bar in Tournaments section. (Apr. 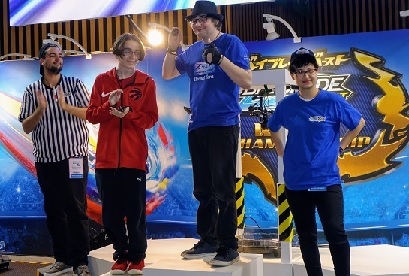 17, 2019 4:46 AM)ks123 Wrote: You find them in Navigation Bar in Tournaments section. If you use mobile? If yes, check Others section. There is Rules & Resources. I tried and it won’t work . I guess I can’t do it for now. (Apr. 17, 2019 5:07 AM)ks123 Wrote: If you use mobile? If yes, check Others section. There is Rules & Resources. (Apr. 17, 2019 3:58 PM)CheetoBlader Wrote: I tried and it won’t work . I guess I can’t do it for now. I know that’s what I’m talking about!